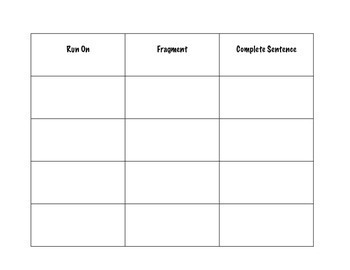 This printable sorting activity is perfect for literacy centers or for partner work. 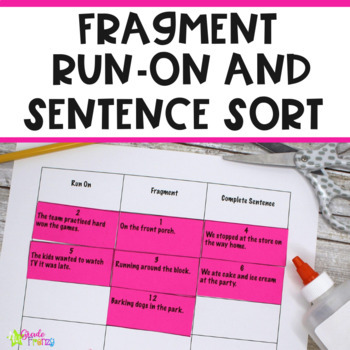 Students will cut and sort sentences, fragments, and run-ons into groups. 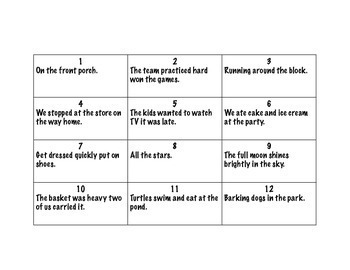 An answer key is provided to make the center self-checking.